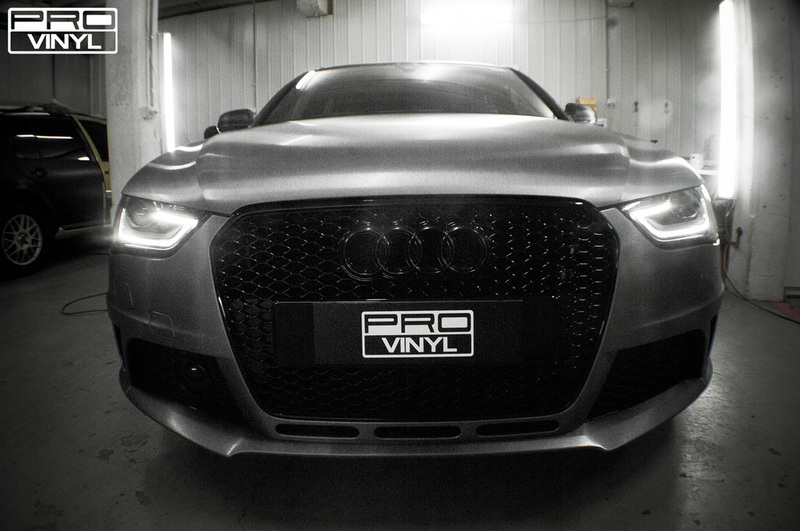 THE PROVINYL TEAM GAVE THE AUDI RS4 A DRAMATIC FACELIFT TRANSFORMING THE CAR INTO THE ULTIMATE RIDE. 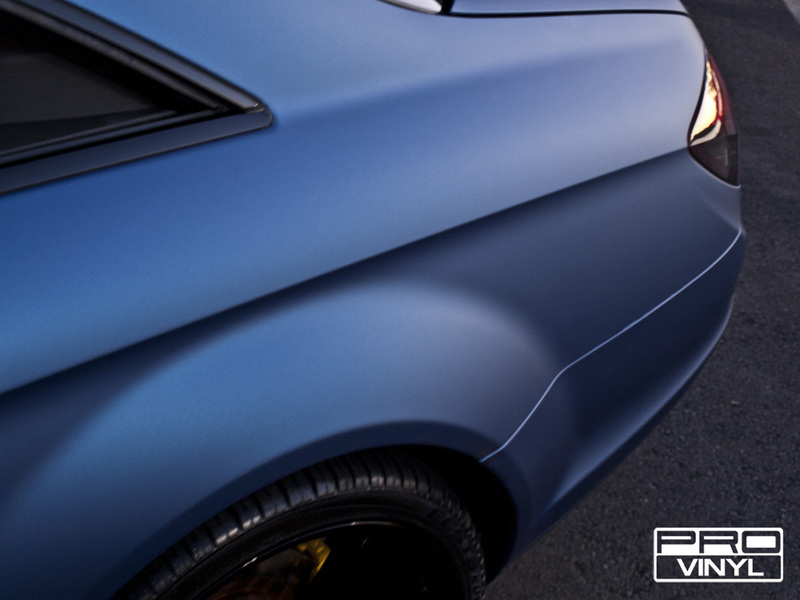 WRAPPED IN BRUSHED STEEL VINYL, WITH ALL PANELS DONE METICULOUSLY, THIS CAR LOOKS LIKE NOTHING EVER WITNESSED BEFORE. 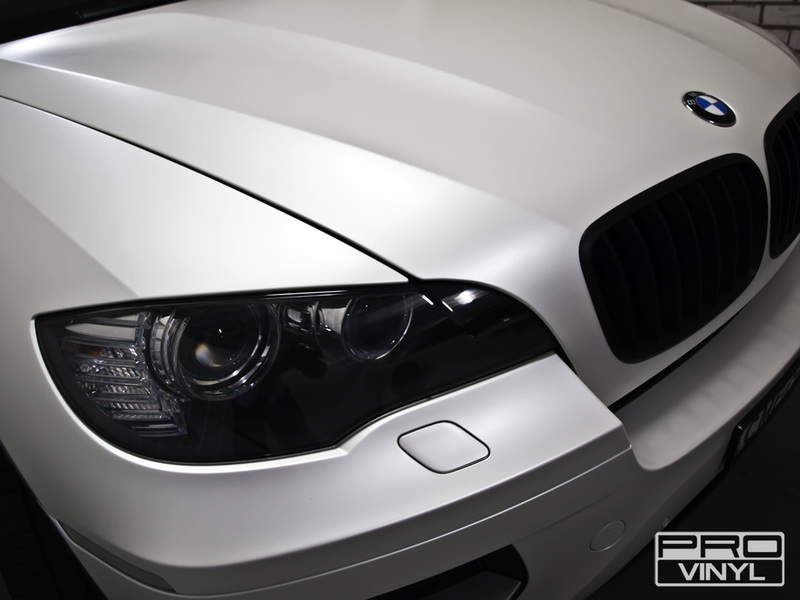 ALONG WITH THE BRUSHED STEEL, THE TEAM WRAPPED ROOF AND MIRRORS IN CARBON FIBRE PLUS TINTED LIGHTS. 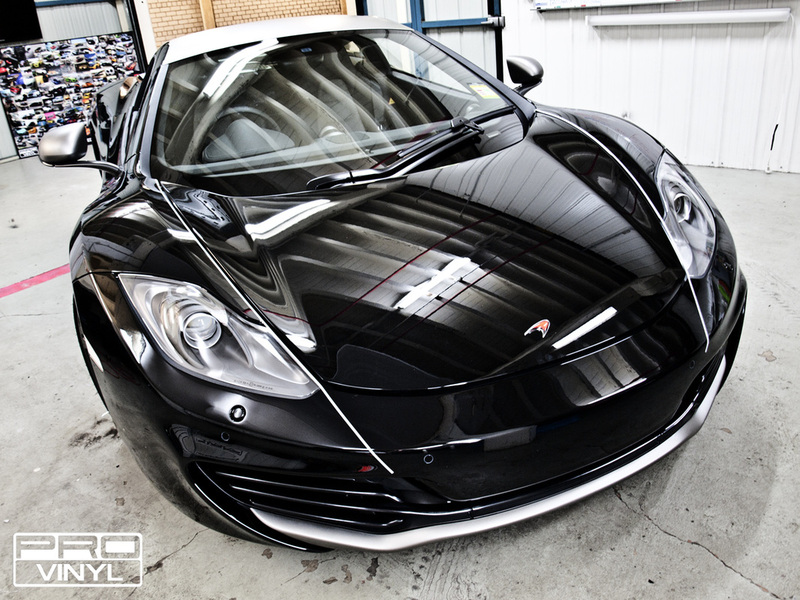 ANOTHER BRAND NEW MCLAREN CAME TO US FOR SOME HIGHLIGHTS IN A MORE EXCITING COLOUR THAN THE PREVIOUS. 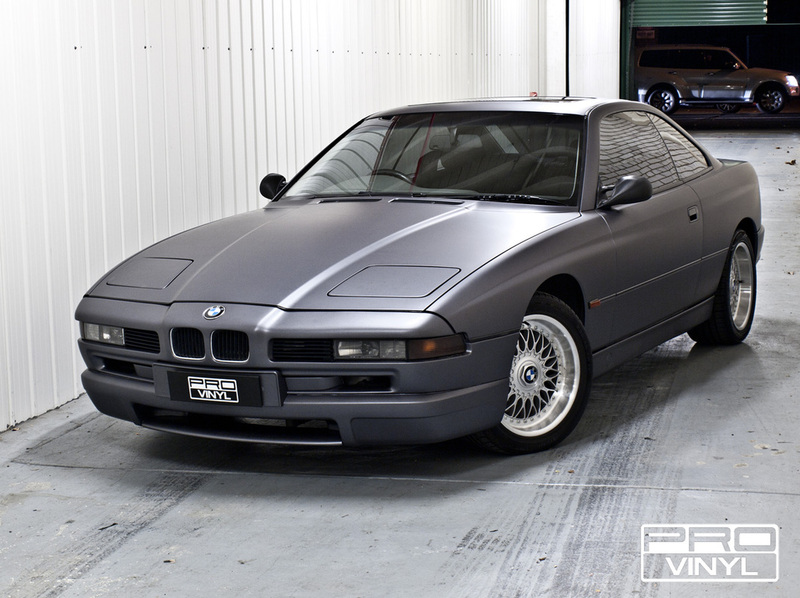 THE COLOUR CHOICE WAS 3M'S MATTE METALLIC GREY, WHICH WE APPLIED TO THE ROOF, SPOILER, REAR DIFFUSER, FRONT LIP, MIRRORS, SIDE VENTS AND TO FINISH WE ADDED SOME STYLISH STRIPS ON THE BONNET FOLLOWING THE BODYWORK LINES. A VERY CLEVER USE OF VINYL ON A CAR OF THIS STANDARD! THE END RESULT IS A HUGE TRANSFORMATION AND LIKE WE HAVE SAID BEFORE, A FULL WRAP ISN'T ALWAYS THE WAY! 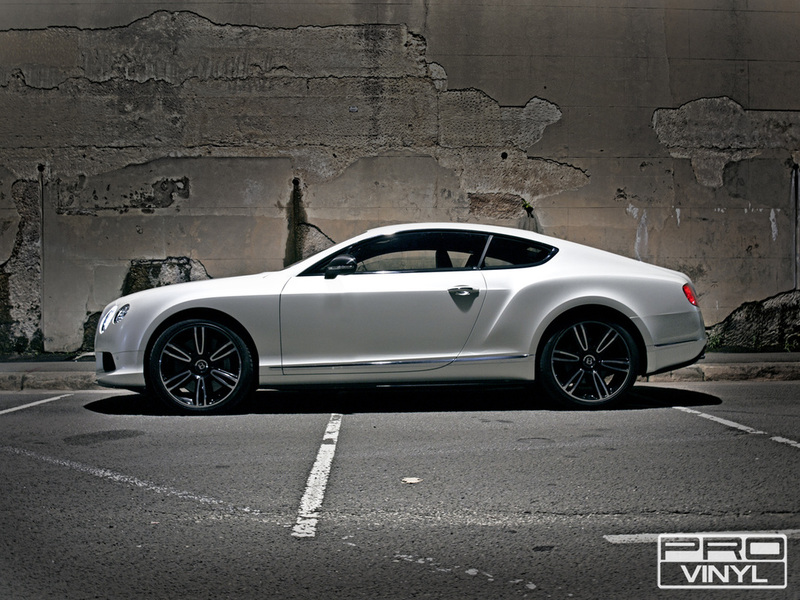 A NICE JOB FOR THE TEAM HERE WITH THIS FULL WRAP IN SATIN PEARL WHITE. 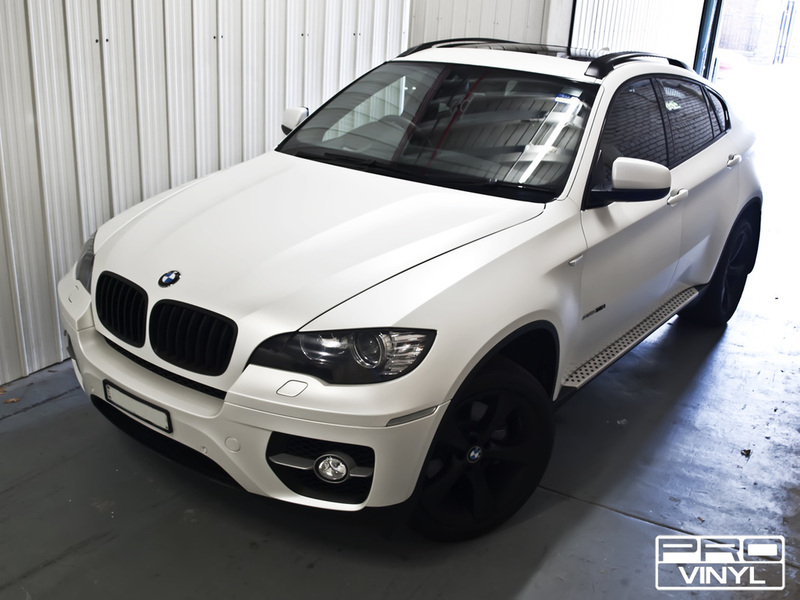 THIS X6 IS SURE TO TURN HEADS WITH A CUSTOM LOOK LIKE THIS. 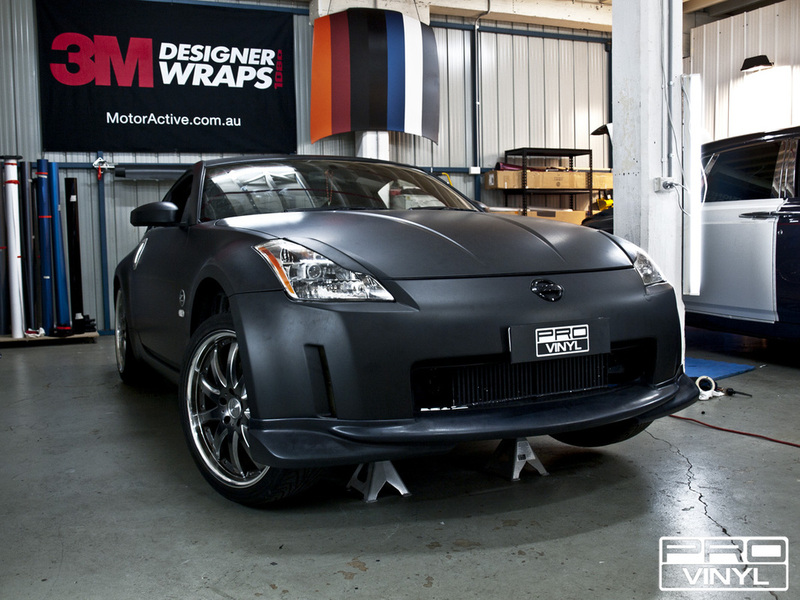 TO GO WITH THE COOL WRAP WE PAINTED THE BADGES AND WHEELS IN SATIN BLACK AND WRAPPED THE NOSE IN MATTE. ALL TOGETHER A VERY STYLISH TRANSFORMATION. 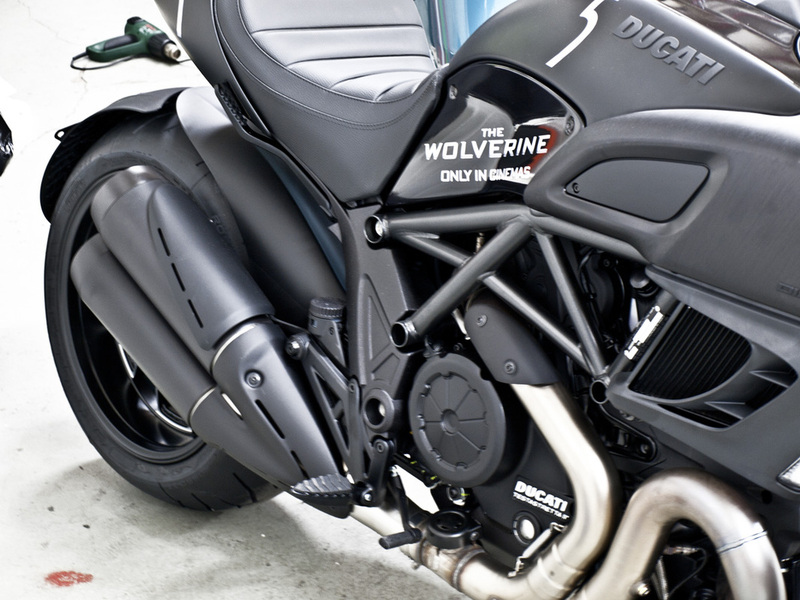 MOTORBIKES AREN'T IN THE WORKSHOP OFTEN AT PROVINYL, BUT HERE’S A COUPLE WE WORKED ON RECENTLY. 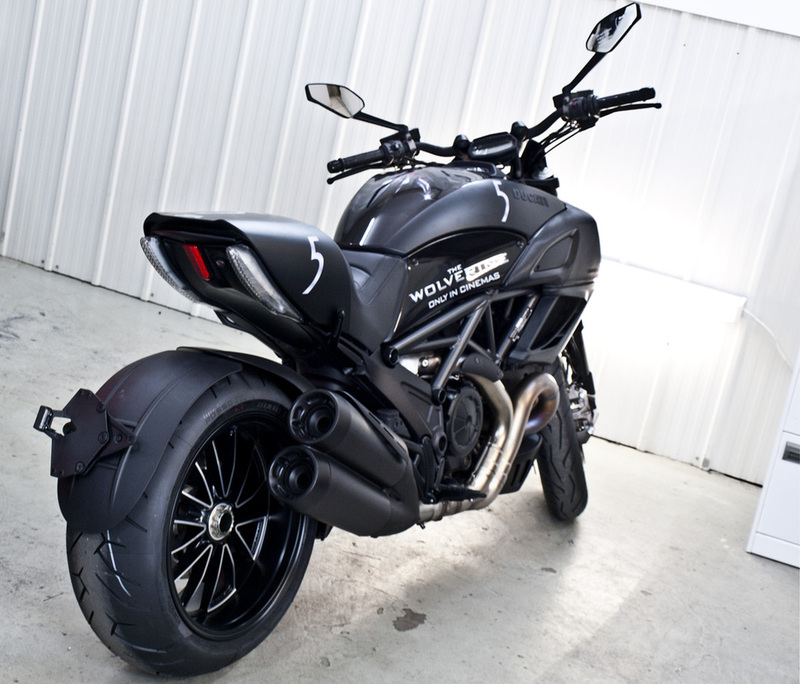 FIRST UP IS THIS DUCATI DIAVEL. IT IS GOING TO BE DRIVEN BY HUGH JACKMAN FOR THE PREMIERE OF “THE WOLVERINE”, SO WE ADDED SOME SIGNAGE TO PROMOTE THE NEW FILM AND 5IVE CHEWING GUM. I’M SURE YOU’LL AGREE THE SIMPLE BUT EFFECTIVE DESIGN FITS IN GREAT WITH THE AWESOME LOOKING BIKE. 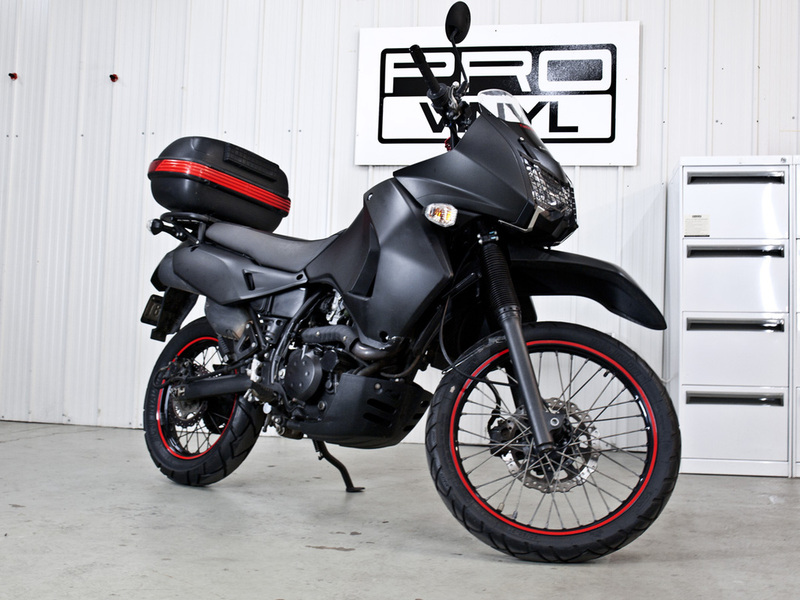 NEXT UP IS THE KAWASAKI; A OLDER MODEL THAT WENT FOR THE FULL MATTE BLACK WRAP! A FANTASTIC TRANSFORMATION OF AN OLDER BIKE AND IT REALLY HAS BEEN BROUGHT BACK TO LIFE WITH THIS SLICK, SHARPER LOOK. ONCE AGAIN WE ARE BRINGING NEW COLOURS AND FINISHES INTO AUSTRALIA TO GIVE OUR CUSTOMERS A REAL ONE OFF. 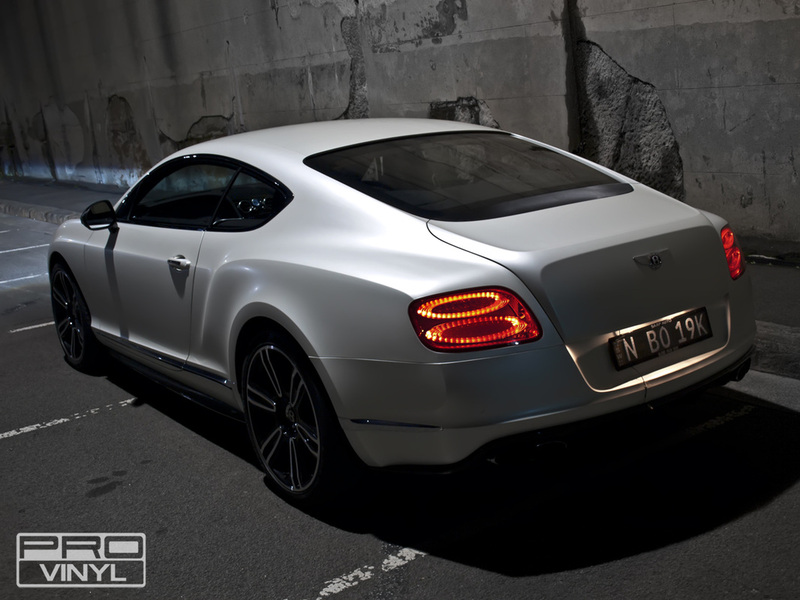 LIKE WITH THIS 2013 BENTLEY CONTINENTAL IN SATIN PEARL WHITE. 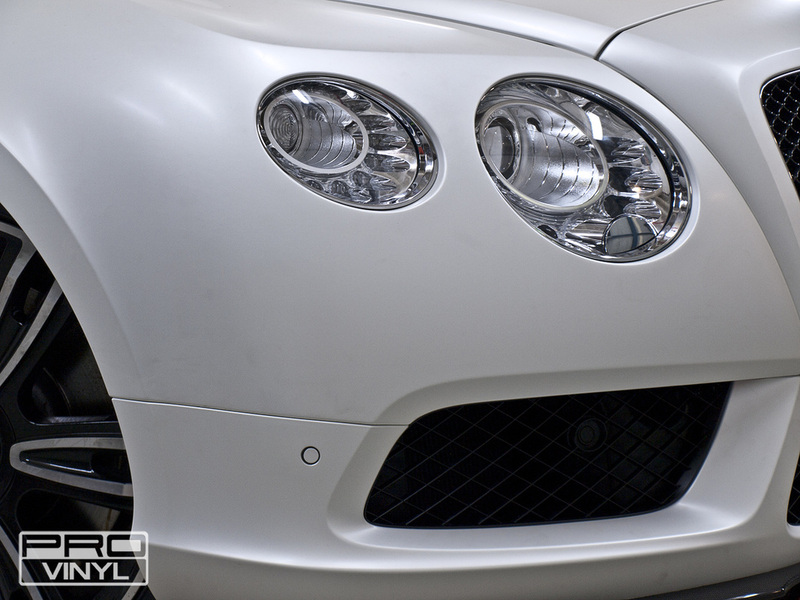 THE NEW CUSTOMER WAS AFTER SOMETHING UNIQUE AND ORIGINAL, AND THE SATIN EFFECT ON THIS COLOUR LOOKS FLAWLESS. 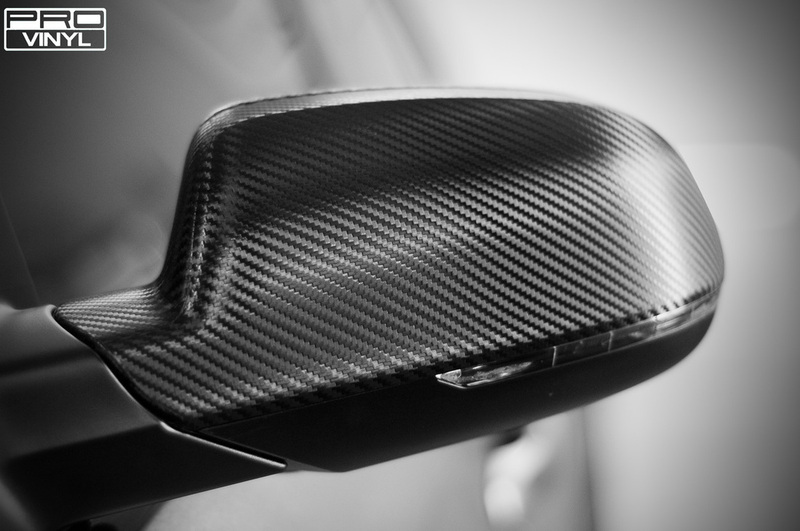 THE TEAM TOPPED IT OFF WITH CARBON FIBRE MIRRORS AND SPOILER AND WRAPPED THE DOOR JAMS AT THE CUSTOMER’S REQUEST. THE TEAM PUT IN A BIG EFFORT AND THE PICTURES TALK FOR THEMSELVES! 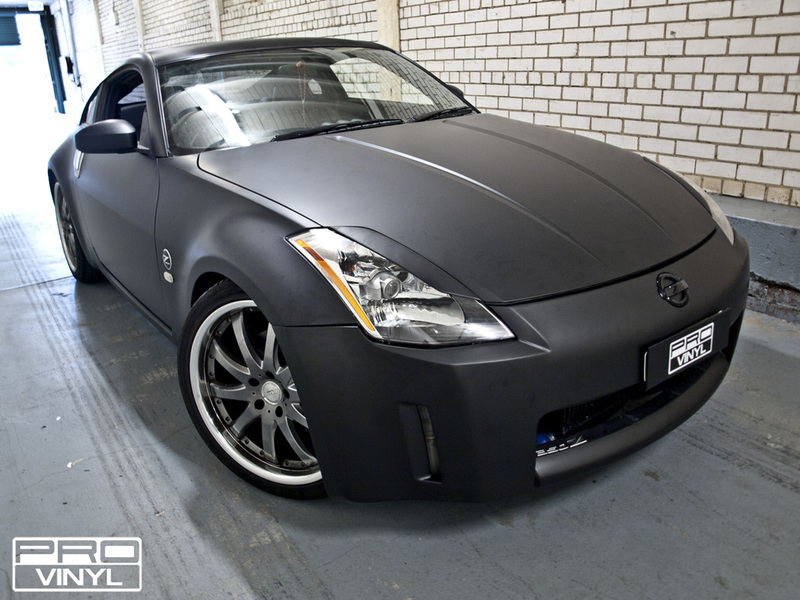 WHAT BETTER WAY TO FRESHEN UP THE LOOK OF THIS TIRED 350Z THAN WITH A FULL WRAP IN MATTE BLACK!? PROVINYL HAVE WORKED ON A COUPLE OF THE Z RANGE BEFORE AND THEY ALWAYS END UP LOOKING GREAT. 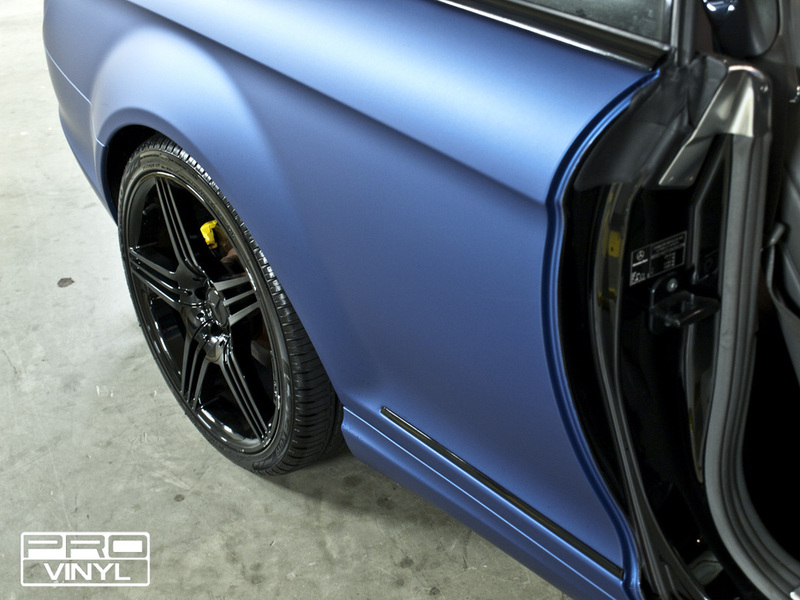 TO TOP OFF THIS NEW LOOK THE TEAM ADDED SOME NICE CARBON FIBRE VINYL TO SOME OF THE INTERIOR PARTS, ROOF AND DOOR PILLARS. 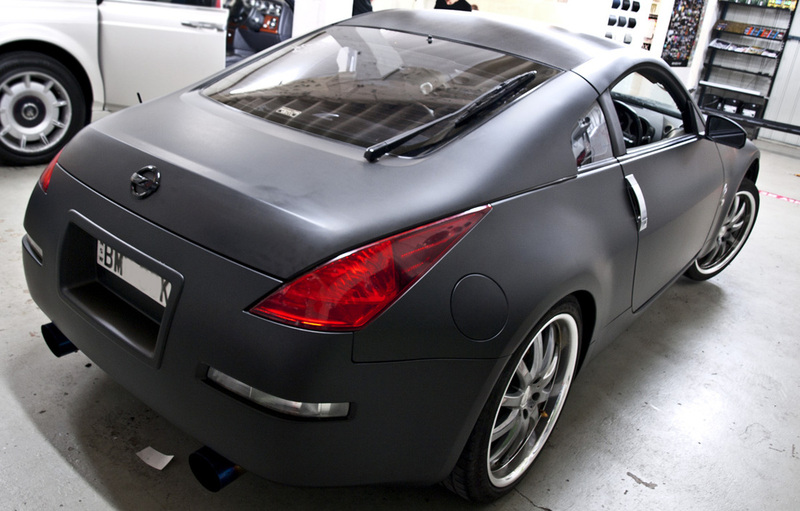 ALL OF THIS COMPLIMENTS THE OVERALL STEALTH SPORTY LOOK OF THE 350Z. 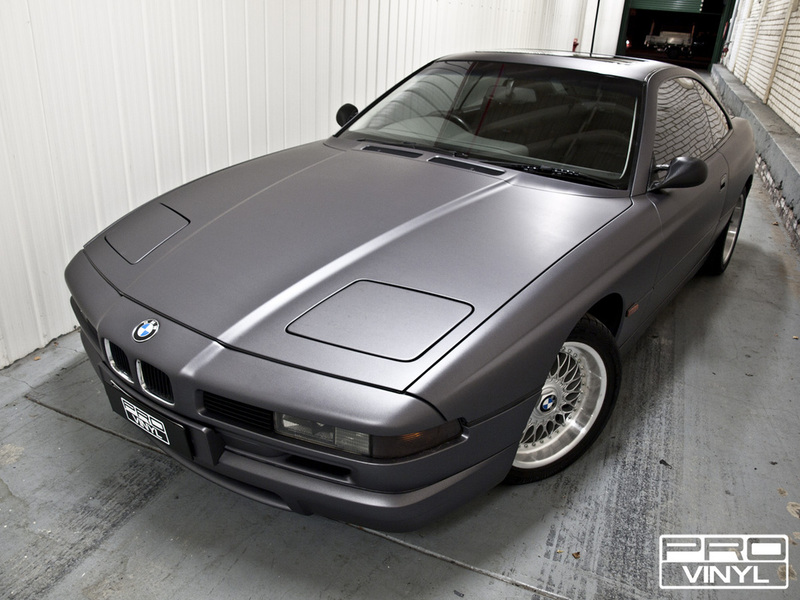 NOW THIS IS A CAR YOU DON’T SEE OFTEN - AN 8 SERIES BMW! THIS RETURNING CUSTOMER CAME TO US TO FRESHEN UP HIS THE BMW. 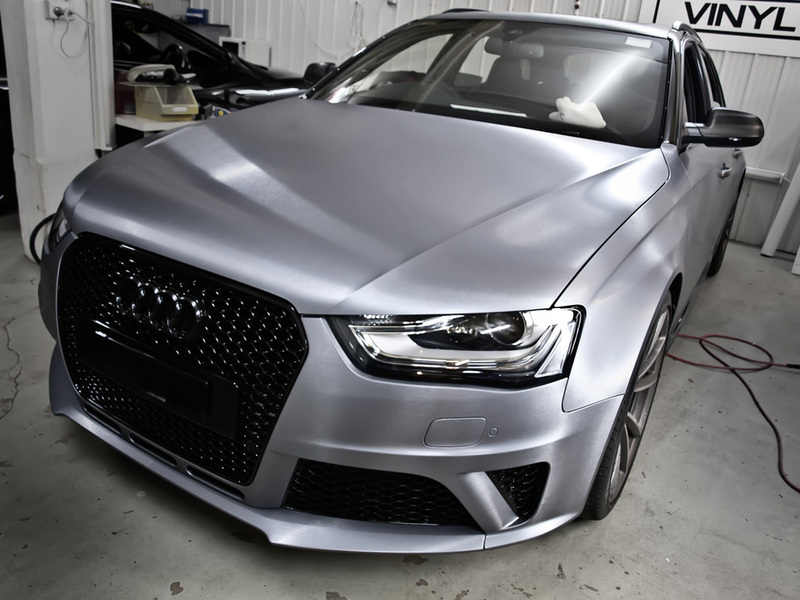 THE TEAM DID A FULL MATTE METALLIC GREY WRAP WITH CARBON FIBRE REAR DIFFUSER AND MIRRORS. 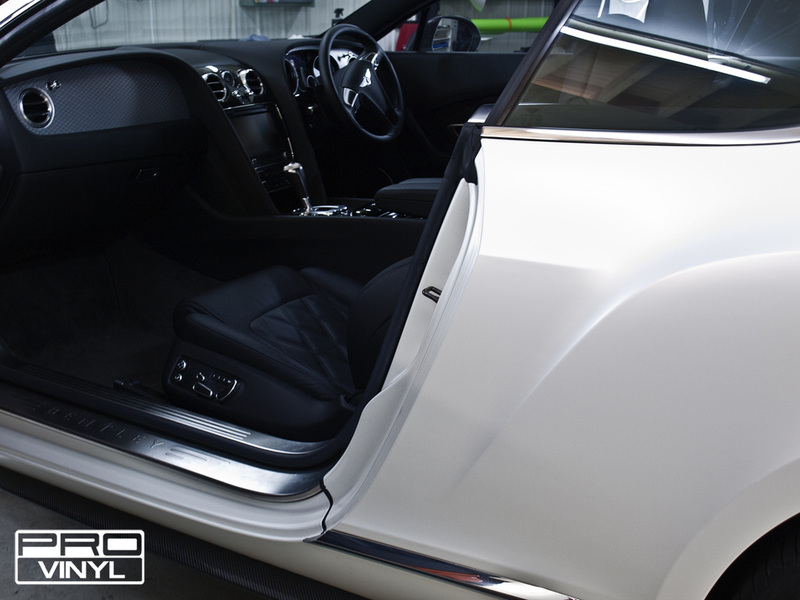 IT IS AN AMAZING TRANSFORMATION TAKING IT FROM A TIRED, OLD-LOOKING CAR TO A CRISP, CLEAN, FRESH LOOK! 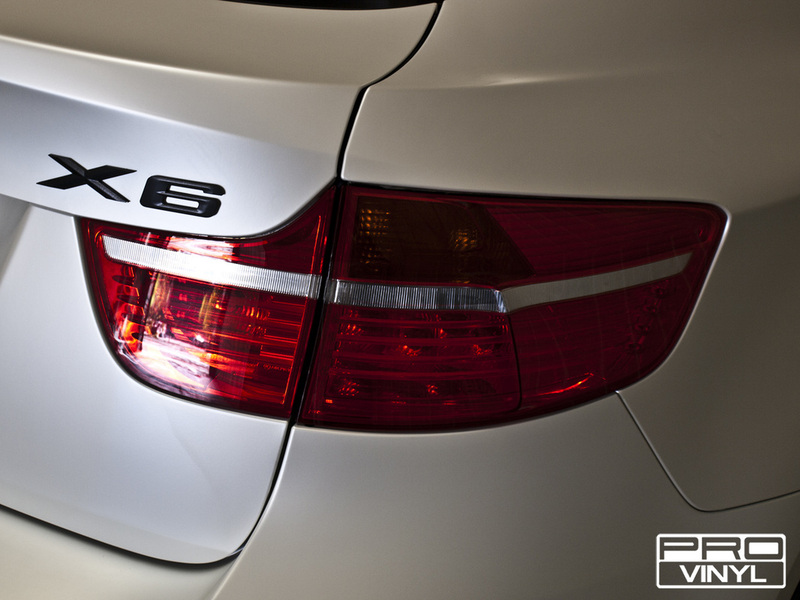 WHAT BETTER WAY TO PUT A BIT OF LIFE BACK INTO YOUR CAR!? 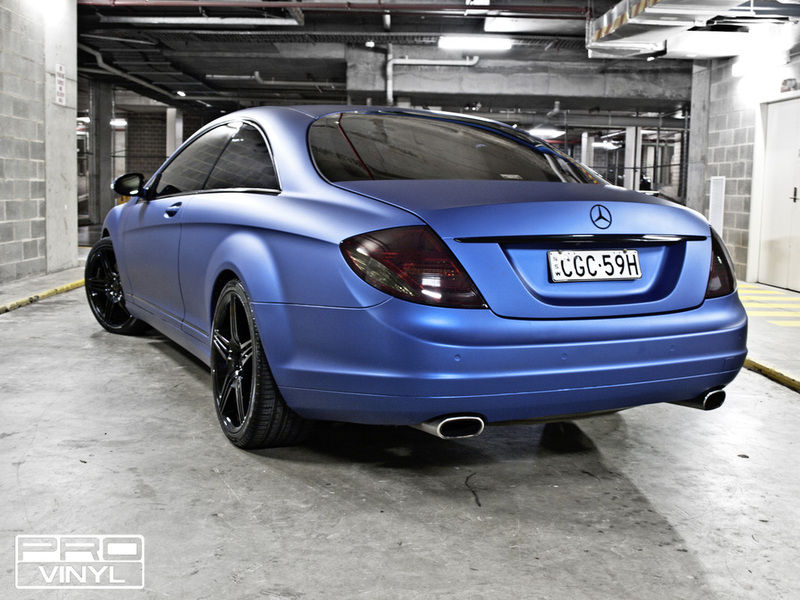 THE MERCEDES CL500 WAS ANOTHER FIRST FOR THE TEAM AT PROVINYL - WE APPLIED A MATTE METALLIC BLUE WRAP WHICH GIVES AN ANODISED ALUMINIUM LOOK. AS FAR AS WE KNOW, NO ONE ELSE IN AUSTRALIA HAS BEEN USING THIS STUFF AND WE WERE EXCITED TO GIVE IT A SHOT. IT IS A MUCH HARDER APPLICATION PROCESS THAT IS MORE TIME CONSUMING, BUT FOR THE END RESULT IT’S WELL WORTH IT. 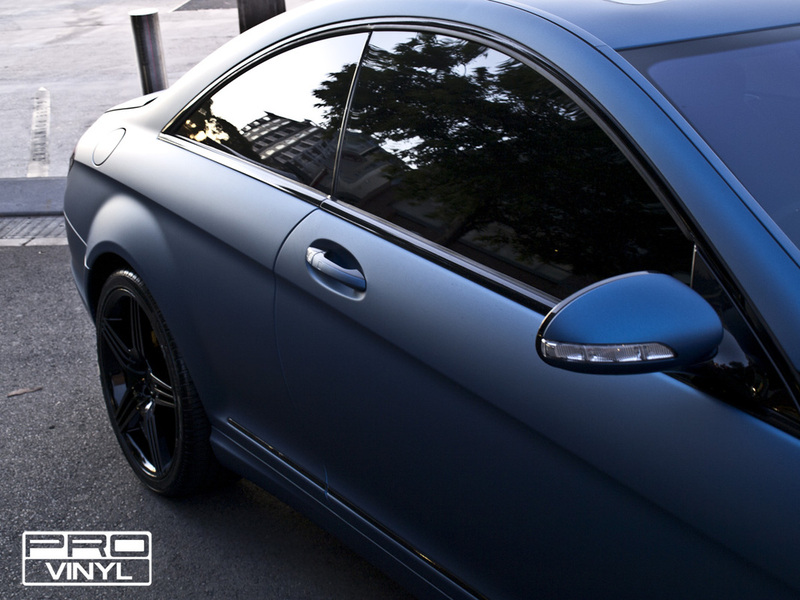 ALONG WITH THIS THE TEAM WRAPPED THE CHROME WINDOW SURROUNDS AND BADGES IN GLOSS BLACK. TO FURTHER ENHANCE THE SLICK LOOK WE ADDED GLOSS BLACK WHEELS AND FRONT GRILL AND TOPPED IT OFF WITH TINTED REAR LIGHTS AND WINDOWS. 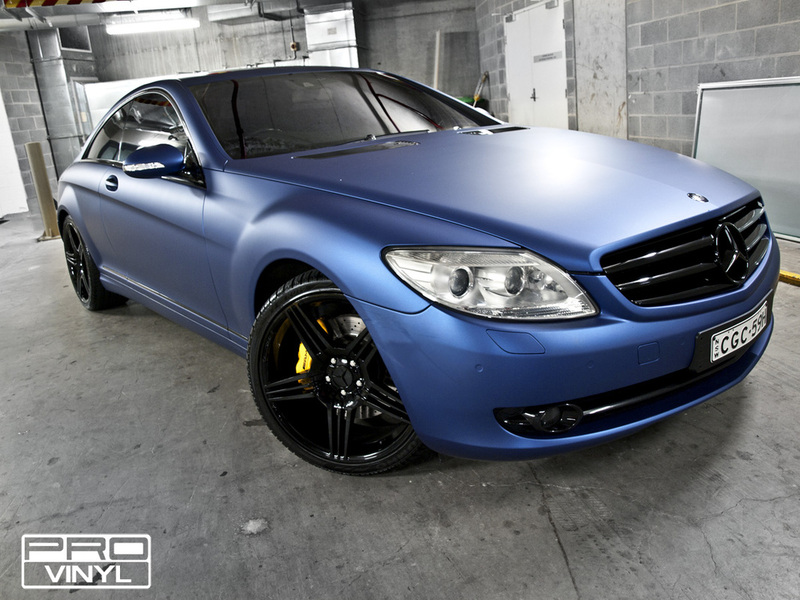 THIS REALLY IS A UNIQUE LOOK AND WITH MANY MORE MATTE METALLIC COLOURS AVAILABLE WHY NOT BE THE FIRST WITH YOUR CAR! ?